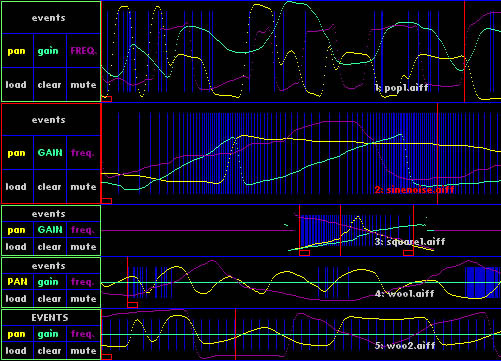 BeatyBeatyBeaty was an algorithmic audio event generator that ran on the (now defunct) Be Operating System (BeOS). It was a bit like a drum machine, but more flexible. I used it as a live performance instrument. The original BeatyBeatyBeaty website is here.